Tacitus, however, did not long enjoy his victory: on his way back to Europe, he died. Zosimus and Zonaras preserve the report that Tacitus had appointed a relative of his, Maximinus, as governor of Syria. Maximinus was murdered; then the assassins, fearing Tacitus's reaction, murdered him. It was alleged that some of them had also had a hand in murdering Aurelian. [] The Historia Augusta more eccentrically reports that Tacitus became ill with a fever and started showing signs of megalomania: but as the month September Tacitus allegedly wanted named after himself dates his accession incorrectly, the story appears to be a fabrication. [] Tacitus died some time in June of 276. [] His memory was neither condemned nor deified. Chastagnol, André (tr.). Histoire Auguste. Paris, 1994. Cohen, Henry. Description historique des monnaies frappées sous l'Empire romain. Paris & London, 1880-1892. Dessau, Hermann. Inscriptiones Latinae Selectae. Berlin, 1892. Festy, Michel (ed.). Pseudo-Aurelius Victor, Abrégé des Césars. Paris, 1999. Grenfell, Bernard; Hunt, Arthur. "Horoscope of Sarapammon." The Oxyrhynchus Papyri. Part II. No. 1476. London, 1916. ________. Oxyrhynchus Papyri. Vol XII. No. 1409. London, 1916. Hazzard, J.C. (ed.). Eutropius. New York, 1898. Liebenam, Willy (ed.). Fasti Consulares Imperii Romani. Bonn, 1909. Magie, D. (ed.). Scriptores Historiae Augustae. Cambridge, MA, 1982. Mommsen, T. (ed.) Monumenta Germania Historica. 9.1. Chronica Minora. Chron, A.D. 354; Laterculus Polemii Silvii. Berlin, 1892. Paschoud, F. (ed.). Histoire Nouvelle [par] Zosime. Paris, 1971. Rea, J.R. "The Corn Dole Archive." Oxyrhynchus Papyri. Vol. 90. London, 1972. Zonaras, Annales (12.27). ed. M. Pinder. Corpus Scriptorum Historiae Byzantinae. Bonn, 1844. Alföldi, Andreas. Die monarchische Repräsentation im römischen Kaiserreiche. Darmstadt, 1970. Anderson, J.G.C. "The Genesis of Diocletian's Provincial Re-Organization." The Journal of Roman Studies. Vol. XXII (1932). Pp. 24-32. Baynes, Norman. The Historia Augusta: Its Date and Purpose. Oxford, 1926. ________. "Three Notes on the Reforms of Diocletian and Constantine." Journal of Roman Studies. Vol. XV (1925) Pp. 195ff. Den Hengst, Daniel. "Some Notes on the Vita Taciti." In Giorgio Bonamente and François Paschoud (eds. ), Historiae Augustae Colloquium Genevense. Bari, 1994. Gilliam, J.F. "The Governors of Syria Coele from Severus to Diocletian," AJP, 89 (1958). Groag, Edmund and Arthur Stein. "Imp. Caesar M. Claudius Tacitus Augustus." Prosopographia Imperii Romani. Part II. Claudius, No. 1036. Berlin, 1936. Hohl, Ernst. "Vopiscus und die Biographie des Kaisers Tacitus." Klio. Vol 11 (1911). Jones, A.H.M., Martindale, J.R. Morris, J. "M. Claudius Tacitus," p. 873; "M. Annius Florianus," p. 367. 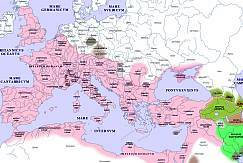 The Prosopography of the Later Roman Empire. Cambridge, 1971. Jones, Tom B. "Three Notes on the Reign of Marcus Claudius Tacitus". Classical Philology vol. xxxiv (1939). Pp. 366-369. Keyes, Clinton W. The Rise of the Equites. Princeton, 1915. Kienast, Dietmar. Römische Kaisertabelle: Grundzüge römischen Kaiserchronologie. Darmstadt, 1990. Kramer, Ida and Tom Jones . "Tribunicia Potestate: A.D. 270-285." American Journal of Philology. Vol. lxiv (1943). Merton, Elke W. Stellenbibliographie zur Historia Augusta. 4 vols. Bonn, 1987. Peachin, Michael. Roman Imperial Titulature and Chronology, A.D. 235-284. Amsterdam, 1990. Stein, Arthur. "Zur Chronolgie der römischen Kaiser". Archiv für Papyrusforschung. Vol 7. Berlin, 1924. Stein, Arthur. "Tacitus." Paulys Real-Encyclopädie der classischen Altertumswissenschaft. Vol. 3, cols. 2872-2881 (Claudius No. 361). Stuttgart, 1899. Syme, Ronald. Emperors and Biography. Oxford, 1971. ________. Historia Augusta Papers. Oxford, 1983. []Arthur Stein, "Claudius (no. 361)," Paulys Real-Encyclopädie der classischen Altertumswissenschaft, (Stuttgart 1899) [hereafter PW], vol. 3, cols. 2872ff; Theodor Mommsen, ed., Corpus Inscriptionum Latinarum [hereafter CIL], vol. VIII Supp. 18844. [] Willy Liebenam (ed. ), Fasti Consulares Imperii Romani (Bonn, 1909), Year 273; CIL VIII, 18844. [] Edmund Groag & Arthur Stein, Prosopographia Imperii Romani [hereafter PIR], Pars II (Berlin, 1936), p. 251, no. 1036: "A Cornelis Tacitus rerum Sciptore Orgininem trahit Vita," 10.3, originem absurde. Also, Dietmar Keinast, Römische Kaisertabelle (Darmstadt, 1996), p. 247. []Arthur Stein, "Zur Chronologie der römischen Kaiser," Archiv für Papyrusforschung 7 (1924), p. 46. Aurelian died in November 275, and Tacitus was probably emperor by December 10, 275 and no later than January 1, 276. Also Michael Peachin, Roman Imperial Titulature and Chronology, A.D. 235-284, (Amsterdam, 1990), p. 92; PIR p. 252 No. 1036. [] David Magie, The Scriptores Historiae Augustae (Cambridge, MA, Loeb edition) "Vita Taciti," vii.5 [hereafter, SHA, Vita]; Zonaras, Annales, XII.28, ed. M. Pinder, Corpus Scriptorum Historiae Byzantinae (Bonn, 1844). []SHA, Vita Taciti, VII. 5; Zonaras XII. 28. See, however, Ronald Syme, Emperors and Biography (Oxford, 1971) p. 271. Syme casts substantial doubt over the entire portrayal of Tacitus by the Latin Historians. [] SHA, Vita Taciti, XIII 1-2. [] German attacks are mentioned in the SHA, Vita Taciti, III.4. 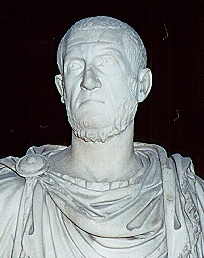 Tacitus's successor, Probus, campaigned along the German border. [] SHA, Vita Taciti, XII.2-4; Zosimus, 1.63.1; Zonaras, XII.28. [] See Magie, SHA, Vita Taciti, p. 318 note 3. [] Appoints his brother prefect, Zonaras, XII.29; victory: Zonaras XII.20; Zosimus I.63; SHA, Vita, XIII.2; CIL XII 5563; Herman Dessau, Inscriptiones Latinae Selectae [hereafter, Dess. ], (Berlin, 1936) vol. 1, 591; Henry Cohen, Description historique des monnaies frappées sous l'Empire romain (Paris & London, 1880-1892), Tacitus, Victoria Gothica: pp. 157-164, Mars Ultor: pp. 55-58, Victoria Aug. pp. 150-156, Victoria Perpetua: pp. 123-124. []Zosimus, I.63.2; Zonaras XII.28; J.F. Gilliam, "The Governors of Syria Coele from Severus to Diocletian," AJP, 89 (1958). [] Arthur Stein, Archiv für Papyrusforschung, Vol. VII (1924) p. 46 note 5. The latest known dates for Tacitus from papyri are P. Oxy VI 907 June 7, 276; Wessely Text GR. 74 June 23, 276; and P. Strassb. 8 June 8, 276. []H. Webb, The Roman Imperial Coinage, vol 5, pt.1 (London, 1923)[hereafter, RIC]. A third consulship appears on coins from Ticinum, Tacitus 120-121. The possibilities are discussed J.R. Rea, "The Corn Dole Archive," Oxyrhynchus Papyri. vol XL (1972) pp. 27-28. [] Ronald Syme, Emperors and Biography (Oxford, 1971), p. 247. "...Nothing precludes the hypothesis that Tacitus was a known and eligible character to generals and officers at Caenophrurium... When Tacitus acceded to power, the Danubian armies... made no stir...Tacitus, if the truth could be known, was perhaps one of the Danubian military. He was extracted from his retirement in Campania by the call of duty and the recognition of old friends." [] Ibid., Syme; Dess. 569; PIR 468. [] R.A.G. Carson, Coins of the Roman Empire (London & New York, 1990), p. 124. [] Tom B. Jones, "Three Notes on the Reign of Marcus Claudius Tacitus," Classical Philology, XXXIV (1939), p. 367. []VERAE LIBERTATIS AUCTOR, CIL XII 5563; REISTITVT. REIPVBLICAE b , Cohen, Tacitus, 107. [] Andreas Alföldi, Die monarchische Repräsentation im römischen Kaiserreiche (Darmstadt, 1980), p. 135; RIC vol. 5. p. 333 no. 75; pp. 346-347, nos. 205 and 209. SC, Cohen. "Tacitus," nos. 3, 116, 117, 120 et. al..
[]Daniel Den Hengst, "Some Notes on the Vita Taciti," Historiae Augusta Colloquium Genevense (Bari, 1994): p. 104, quantifies, "...less than 10% of the lines deal with facts attested elsewhere"; Syme, op. cit. (1983): p. 214, "...none of the names [in the biography] is genuine save those of emperors." [] Ronald Syme, Historia Augusta Papers, (Oxford, 1983) p.116. The major themes the author uses the biography for are "...hostility to hereditary monarchy, boy emperors, eunuchs, bureaucrats." []Stein, op. cit. See note 4. [] Syme, op. cit. (1971), pp. 237-238. [] Michael Festy (ed. ), Pseudo-Aurelius Victor, Abrégé des Césars (Paris, 1999), 33,33 "...senatum militia vetuit et adire exercitum." []Vita Taciti, 19.2-4; and Vita Probi, 13.1. The veracity of the statements was accepted by L. Homo, "L'empereur Gallien et la crise de l'empire romain au iiie Sieclè," Revue Historique, cxiii (1913), pp. 1-22; 225-267. But this view was convincingly argued against by Norman Baynes, "Three Notes on the Reforms of Diocletian & Constantine," Journal of Roman Studies, xv (1925): esp. pp. 198-199; J.G.C. Anderson, "The Genesis of Diocletian's Provincial Re-Organization," Journal of Roman Studies xxii (1932): esp. pp. 27-28. Also see Clinton W. Keyes, The Rise of the Equites in the Third Century of the Roman Empire, (Princeton 1932), pp. 36-37; and Lukas de Blois, The Policy of the Emperor Gallienus (Leiden, 1976), esp. pp. 39-89. Copyright (C) 2000, Robin Mc Mahon. This file may be copied on the condition that the entire contents, including the header and this copyright notice, remain intact. Comments to: Robin Mc Mahon.